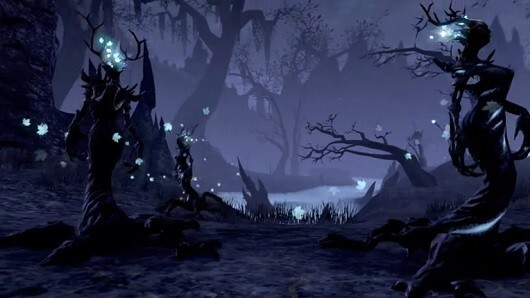 The Elder Scrolls Online team has a present just for you: a new trailer! ZeniMax just released Journey to Coldharbour, a video showing off some of the Oblivion plane where Molag Bal, the God of Schemes, makes his home. Lead Loremaster Lawrence Schick and Lead Writer Wynne McLaughlin explain that Molag Bal steals players’ souls at the very beginning of the game, leaving players to track him down, figure out what makes their souls so desirable, and stop his wicked schemes. Skip below the cut to feast your eyes on the new trailer.